In the world of evolution where technology is become an integral part and base of every business, everyone is running a business website. Commercial websites are now one of the necessities to expand a business. So what do we need for a website? A domain name? hosting? But people who have just started their business or blog with very less investment and they can’t pay for domain name. If you also want to start your blog then you can read how to start a blog and make money online. So here we will get you best places from where you can get a free website domain and run your website in free of cost. 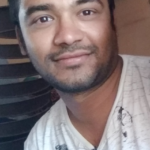 If you are thinking how free domain will work but no worry you will get all information to attach your hosting or blogging platform with free domain name. One of the best place to get a free website domain name and their main aim to bring people online to help countries in developing their digital economy. There is no big different between the free domain names or paid domain names here but you will not get free domain for any extention. But make sure the places you are getting your free version of domain name is serving your purpose as well. If it is purely a company site then make sure you use commercial domain names only. You will get unlimited renewals of any free domain name that means for life time you can use same domain name. 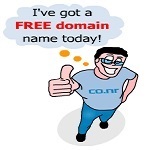 If you go to this website you can easily get free domains with co.nr extension. Without any hassle of ads and Meta tags you can get free domain names easily. You can even use this platform to get short website name which redirect to your own website and freedomain not put any ads while redirect from free domain to your domain. You just simply have to sign up to their website to get a free domain. Another yet awesome website to get free domain name and they even offer a free website hosting services to their users with a space of 50 MB. This site provide you web site building tools with many free web templates to create you free site. 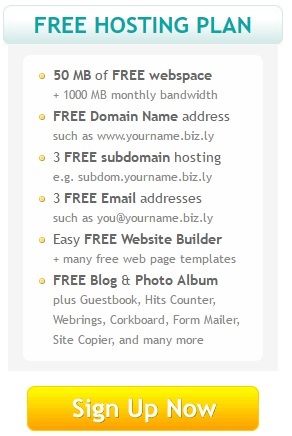 Biz.ly also provides free blogs builder, guestbook, visitors counter, webrings, and more. So this website is a one shop stop for everyone who is looking for a long term commercial website. You can choose hosting platform to host your own domain free of charge and that comes with all Biz.ly free webhosting features. This is the best website as it not only provides you the domain for free but also helps you boost your sales and business online. They offer you with everything including email address and sales and marketing as well. They provide domain name registration to all the new users after they sign up. zoho stands for zoholics and is aiming to be one shop stop for everyone who is trying to build an online business. cu.cc free domain service offers you not only one domain name for free but also offers you up to 100 free domain names once you sign up for them. The website even offers free DNS control and has domains without any hassle ads, the domain names come with ease on this website. One has to pay no donations and fill absolutely no surveys before going on to get free domain name from this website. Their main aim is to give away domain names to people for free to boost their business and economy. A very secured and easy way to get domain name is Site ground. The only thing one must know before asking for a free domain name from this website is that they have to hire a hosting service from them. The domain names available for you for free will are having extensions like .com, .net, .org and .biz and .info and .us. And you can get your domain name registrations for free. So here are the top best 6 free domain websites that gives away domain names for free and are also providing different other services like free hosting, some provide free DNS service and while few of them are ready to offer 100 domain names for free, so sign up to these websites and get started with your website.